Chris Freitas’ radio story is the latest in a our series called Listener Posts, where I will place all of your personal radio histories. I have an interesting story on how I got into shortwave radio. Let’s hop into the Tardis and go back to 1997. Being 13 years old, a young Chris Freitas was a member of the Boy Scouts. Because I was a part of this organization, Boy’s Life magazine shipped to my mailbox each month. In the December 1997 issue, there was an article titled “Tune In To The World.” This printed piece literally changed my life. While reading the article, I was amazed that there were radios capable of receiving global signals. There had to be more information. Thus, I went to the Millington Public Library (Millington is a suburb north of Memphis, TN and my hometown). Using slow dial-up internet and reading Passport to World Band Radio, I learned more about shortwave radio, international stations, and frequencies. Before buying one at Radio Shack, there was an epiphany. I already owned a shortwave radio and just realized it at that moment. Months before reading the article, my next-door neighbor friend sold me his radio for $25. I thought it was neat. It was my first shortwave radio: the Worldstar Multi Band Receiver MG 6100 sold by Sears. My first two years as an SWL were amazing. 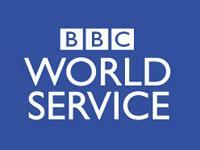 I would sit outside on weekends with my radio and listen to the BBC, RTI, RCI, HCJB, VOA, RNW, and many others. A QSL collection grew and station stickers littered the top of my radio. I wrote to Boy’s Life about it and they paid me some money for the article. There were great programs like Musical Mailbag, live sports, DX Partyline, and Play of the Week that I would tune into every week. My parents “loved” it, as I annoyed them with loud static. Unfortunately with all good things, the band knob on my Worldstar radio broke. 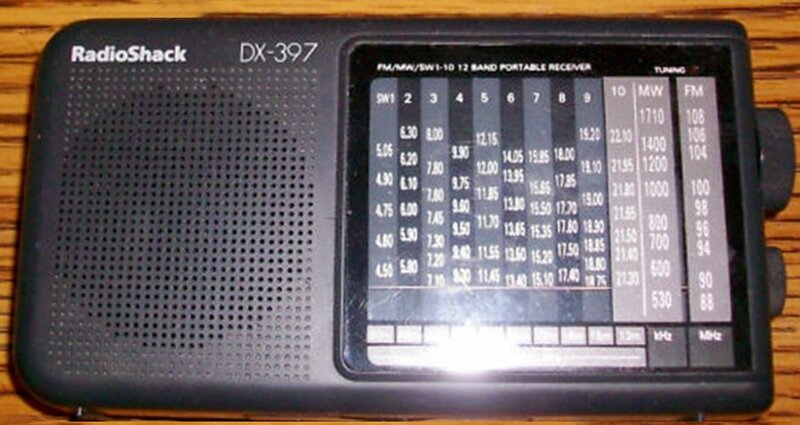 However, my father conceded to a birthday wish and bought me a Radio Shack DX-397 (my dad told me that he still has it). I also bought a book from Radio Shack titled Listening To Shortwave. Even for the late ’90s, it was a bit outdated but there were some interesting tips about shortwave. It also came packaged with a cassette tape (Yes, I still remember them). It was called “Sounds of Shortwave.” If you want to listen, here’s Side A and Side B. After three years of shortwave radio listening, it was not long before changing my childhood dream of becoming a TV weatherman (I had a crazy fascination with weather and still do). Instead, I wanted to be a radio announcer (or at least work at a station). In 2000, the Delta Amateur Radio Club was present at a “Scout Base” on Naval Support Activity Mid-South. It was there that I earned my radio merit badge and perhaps my first on-air appearance. Since then, I’ve been to college and earned my Bachelor’s of Arts in Communications. I am now working part-time at a local radio station. I have yet worked at an international station, but still pursuing that endeavor. Several stations like the BBC, Radio Canada, and Radio Netherlands left shortwave in North America. I have also been through various radios including the Grundig Mini World 300 PE, Eton E5, and Sony ICF-7600GR. As of now, I am using a Tecsun PL-660 and I love it. Although there are fewer stations on shortwave these days, I still enjoy tuning the bands to catch some exciting sounds halfway around the world. Many thanks, Chris, for sharing your story. I think it’s wonderful that you learned about shortwave radio through Boy’s Life magazine. I attend the Dayton Hamvention every year and one of the highlights is that SWLing Post readers stop by my ETOW table to introduce themselves. A number of younger listeners have told me that they learned about shortwave radio through Boy Scouts–no doubt due to the number of Scout Masters who are hams that “propagate” their love of radio. I encourage you to check out Chris’ new blog and his page on Facebook. Readers: Please click here to read our growing collection of Listener Posts, and please consider submitting your own story! This entry was posted in Articles, Listener Posts, Shortwave Radio and tagged Chris Freitas, Listener Posts, Radio Stories, SWL Stories, Your Radio Story on March 30, 2014 by Thomas. I am not sure many SWLs here know of my podcast called CFOR but I wanted to share my story on how I go into radio. This extracurricular activity eventually compels me into pursuing it as a career. You also get a taste of “Sounds of Shortwave,” a cassette tape that cam packaged with a book titled, Listening to Shortwave. This book/tape from Radio Shack is one resource that helped me become more involved with shortwave radio. You can also hear CFOR on iTunes & Stitcher Radio. Great stuff! I remember reading an article in Boy’s Life about shortwave radio when I was in 7th or 8th grade. I saw it one day when I was in our middle school’s library in West Texas sometime in the late ’80s. 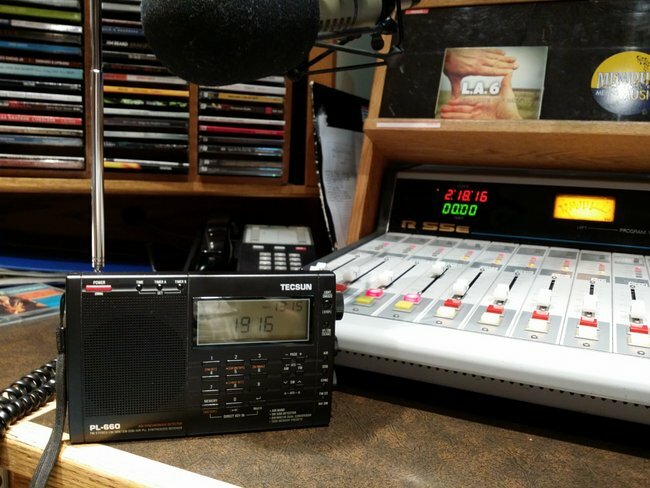 That article sparked my interest in the hobby…I listened for a while on my dad’s portable Sear’s radio which had some shortwave coverage, until I convinced my parents to buy me a Sangean ATS-803 radio for my birthday. There were a lot of stations to listen to and verify back then…probably my favorite was Tahiti on 15170, which I regret not taping.